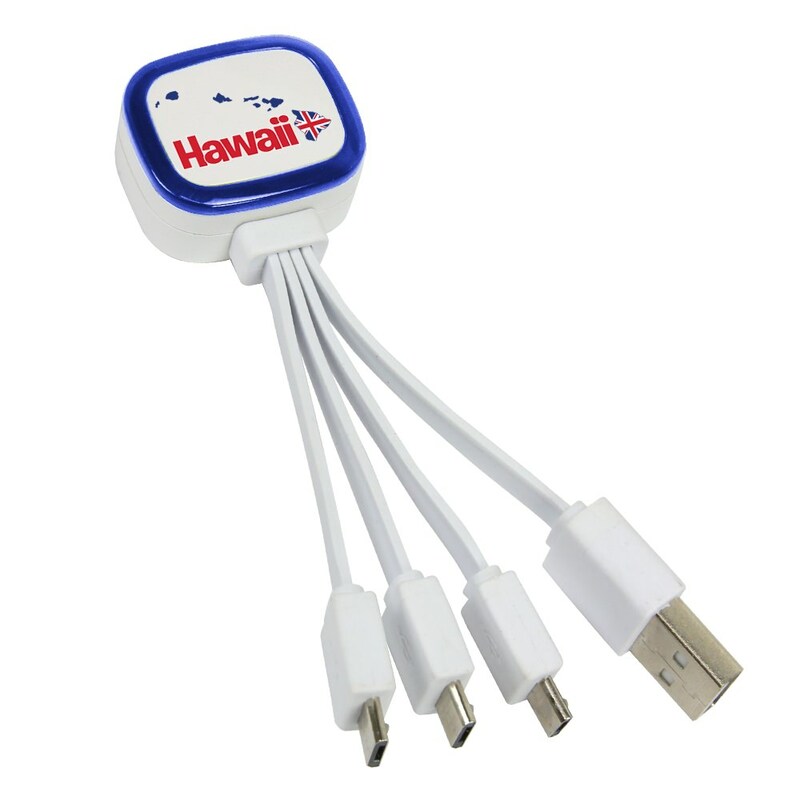 We give you the gift of energy with this White Hawaii Islands Tri-Charge micro USB cable! With your qualifying purchase, you too can enjoy the luxury of easy re-charging access. Up to three compatible devices can be charged at once. It includes a standard USB plug and three micro USB cables. Please enjoy!